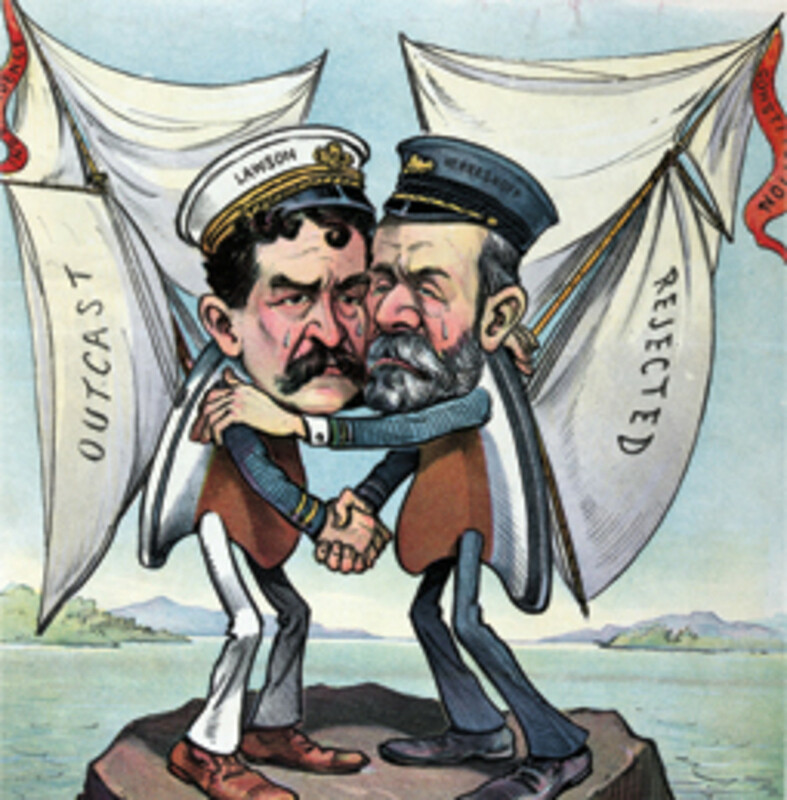 In 1901, the Sept. 25 cover of the satirical magazine Puck featured this cartoon of “The Wizard of Bristol” Nathanael Herreshoff and Boston yachtsman Thomas Lawson bemoaning the failure of their respective defenders for the upcoming America’s Cup. 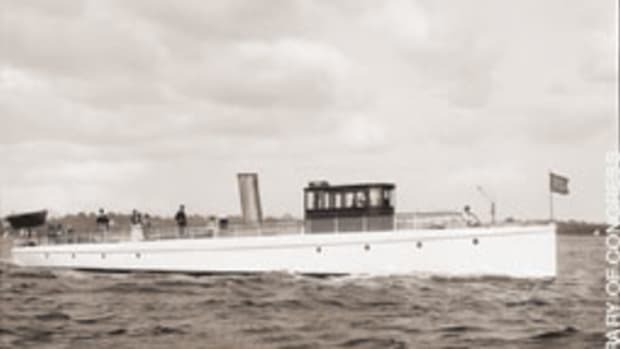 Herreshoff wasn’t used to such things; he’d designed and built every defending victor since 1893. 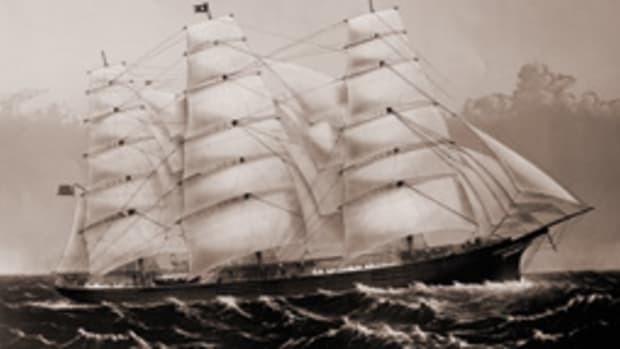 His new entry was Constitution, launched as a “better, faster Columbia,” the yacht that won the 1899 Cup. But Constitution was fast on some points of sail, slow on others. 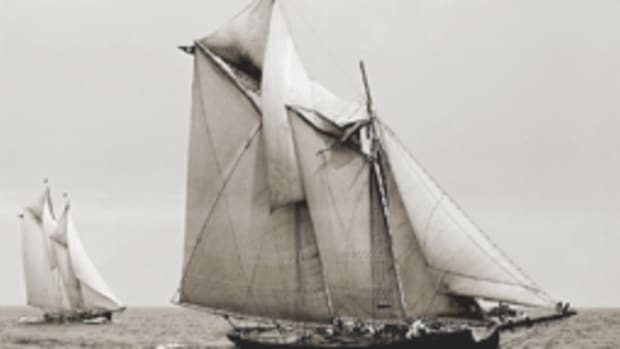 She had endless trouble with her spars, and skipper Uriah Rhodes complained about her sails. 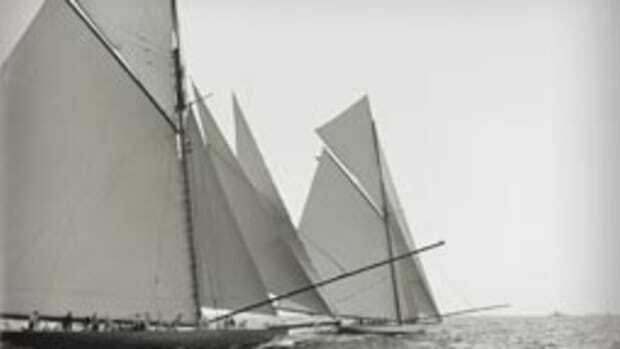 Lawson, taking on the New York Yacht Club for the right to sail for the Cup (defenders had to be members), had sailed a trial series arranged by the newly formed Newport Yacht Racing Association. 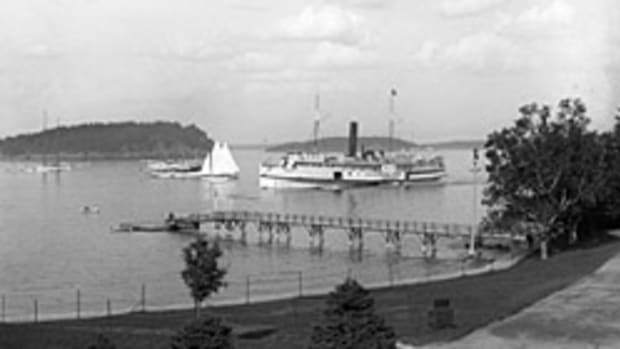 Lawson’s boat, Independence — designed by Boston naval architect B.B. Crowninshield — sailed four races against Constitution and Columbia and two against Columbia alone. She lost all of them. 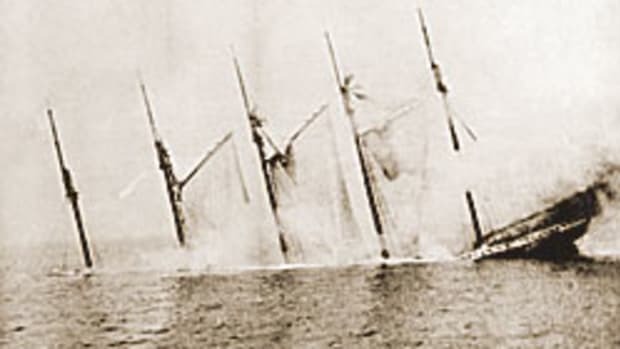 She had trouble with her rudder and steering systems, and she took on water in the first two races because of bow damage suffered during her delivery to Newport. 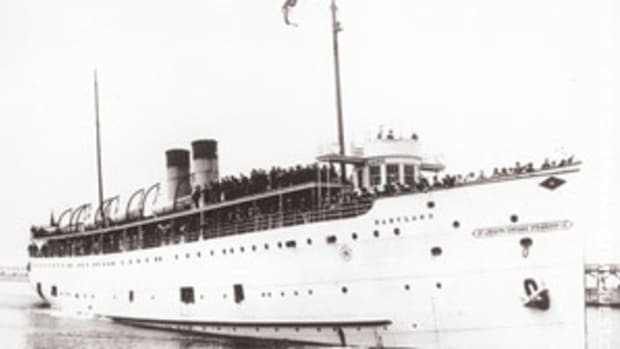 Three months after her launch, she was scrapped. 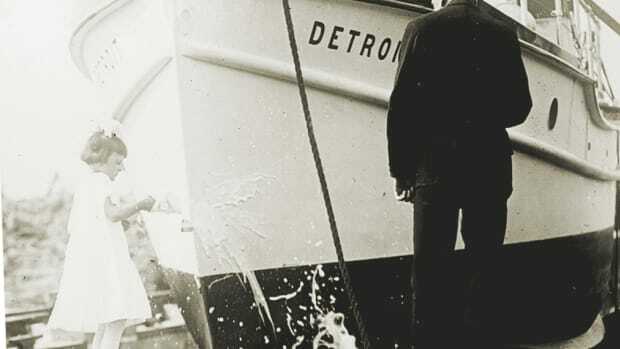 Herreshoff took note of Independence’s flat, scow-like hull and her bursts of speed, and used what he saw in his 1903 defender, the legendary Reliance.